With over 35 years in Photojournalism, Walt Stricklin takes inspiration from David Hockney and turns his focus on fine art. As Director of Photography at the Birmingham News for the last 15 years, Stricklin applies his new vision for landscapes earning him an invitation as one of ten American photographers to go to China and be part of an inaugural exhibition and conference at The Art Palace in Xiang Sha Wan, inner Mongolia. "I call my pictures "Scapes" because most of the (so far) are landscapes and city scapes. They are preconceived, digitally hand crafted and not stitched or blended by a computer program. As I do them, I am not looking for perfection in their assembly. I leave the many individual imperfections to celebrate both my humanity and the enjoyment of discovery. My composite panoramic Scapes are my visual sculptures. I want them to be a blend of reality and my interpretation of a given situation. " His composite panorama "scapes" are preconceived, digitally hand-crafted and not stitched or blended by a computer program. "I am not looking for perfection in their assembly. I leave the many individual imperfections to celebrate both my humanity and the enjoyment of discovery. " "... As an artist, I search for those everyday places and events in our lives that represent the universal truths of shared experiences. What is true in our core is true no matter who we are, where we were raised or where we end up." I am intrigued with how a person adapts to their environment; how they are absorbed and changed. I set about to address this through a photographic photosynthesis in this body of work. Having recently moved to the Midwest after living in Southern California for 20 years I was, at first, unimpressed with my new surroundings. 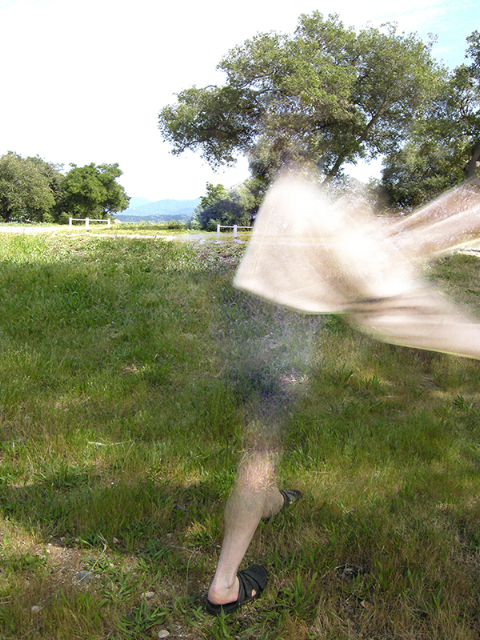 But this move has changed me and impacted my work by forcing me to deal with the reality of a given place. It has helped me pay attention to and appreciate the details of diverse environments. Having always been intrigued with various aspects of reality, I chose photography as the medium to help me reveal/obscure truths. Traditionally, photography was viewed as an honest replication of the real world. But, as we all know, even from its inception, photographers used their medium to alter, accentuate and eliminate aspects of the "authentic". As I deal with these issues, I've come to realize it is all about the landscape, the environment…. fitting-in, disappearing, blending-in, and perhaps, ultimately embracing. In this new work, I have placed my husband (Michael) in various landscapes and in various poses to both highlight and obscure his presence while celebrating the reality of place. She was born and raised in St. Louis Missouri. Her early college years were spent obtaining a degree in graphic arts; later emphasizing fine art. Upon graduation she and her husband, Michael, settled down on acreage in Southern Illinois and set about to construct several solar and energy efficient structures including their 2400 square foot home. Organic gardens and goat husbandry took center stage in Ellen’s life but a desire for a more “artistic” life led the couple to Los Angeles California. Ellen spent two years at FIDM (the Fashion Institute of Design and Merchandising) in downtown Los Angeles. Here, she obtained her advanced degree in 1992. After a few years working in the industry, including several years at Mattel Toy Company as a senior project designer, she became disillusioned with the corporate world and longed for a more creative outlet. Having been trained in computer design while at Mattel, Ellen continued her training on her own using mostly Photoshop software. As digital technology advanced and the newer cameras were producing excellent resolution, Ellen found her perfect medium. It was a true confluence of technical advancements and creative desire that culminated in her current explorations in photo inspired art using both a camera to capture staged assemblages and a computer to alter and manipulate the pieces. Ellen has been creating works that bridge the world of prints, photography and collage. 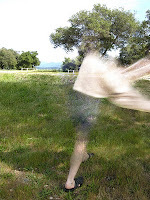 Ellen’s work has been shown in galleries and museums world-wide as well as numerous web-based sites. This week we are featuring member Kelly Fitzgerald , an American born artist best known for her black and white film landscapes. 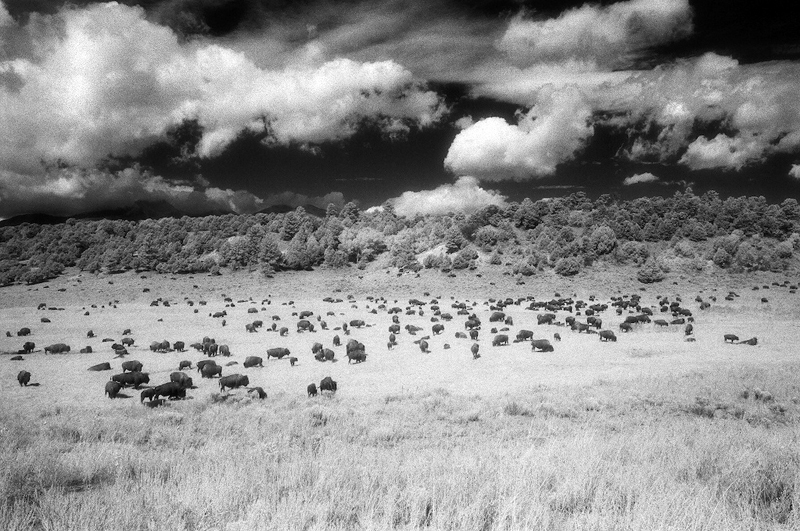 Her selection here is from her recent work, "Colorado" from Infra-red film. "...Photographing Colorado has been a dream of mine for over 25 years. The first time I was inspired was when I looked through a black and white landscape photography book that had been given to me as a gift. 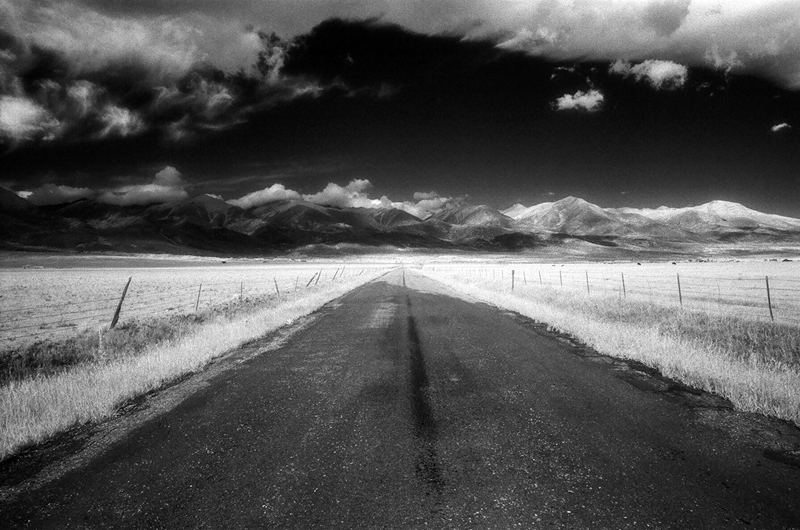 I saw these gorgeous landscapes of nature that had been taken by the photographer Ansel Adams. From that moment, I knew that I wanted to experience Colorado first hand and explore its scenic beauty and history. Dreams do come true. 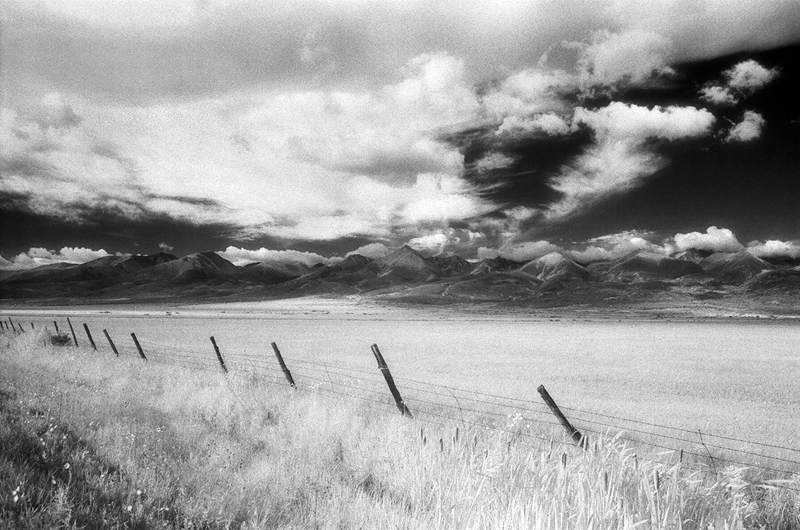 With 3 camera bodies in tow, along with the very last of the discontinued Kodak Infrared High-Speed Film, I got to travel to Colorado this past September of 2010. Fitzgerald strives to create works that capture and preserve the beauty in nature and in vanishing places – images that will inform the viewer and convey her deep belief in the value of these amazing places. Fitzgerald discovered her love for art and photography at an early age. In 1985, while living on the island of Kauai, she decided to move to San Diego, California to pursue her passion of the arts. She enrolled in the photography/art program at San Diego City College. She also studied oil painting and charcoal drawing at the San Diego Art Plex. Fitzgerald is a black and white landscape specialist using tools such as manual film cameras, black-and-white film and the traditional darkroom to create her silver gelatin fiber base and Type C prints. Her photographs have been in numerous exhibits throughout the United States and Europe. Fitzgerald's work has also won several awards including The Golden Light Award and the IPA Lucie Award. She was honored at The Hubbard Museum in Association with The Smithsonian Institution in 2003, and was the first photographer to receive the Gene Harrison Memorial Award in November of 2003. July of 2009, she wrapped up a 5 year project called "A New Discovery" ~ Black & White Infrared Film Landscapes of the Hawaiian Islands. This past year, she was chosen to be a part of the Calumet Ansel Adams Tribute Video. Her image "Shipwreck Beach - III, Lanai" was featured in the video. Equally at home photographing in the studio or in the field, Charles "Chip" Hedgcock has been a professional photographer for more than 20 years. He is a member of the American Society of Media Photographers (ASMP), the Stock Artist Alliance (SAA) and is a Registered Biological Photographer and Fellow of the BioCommunications Association (BCA). "I have a deep interest in natural history that has led me on photography and research projects in the American southwest and Sonora, Mexico. 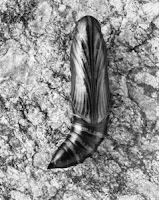 For my personal art work I prefer the classic tools of my trade; film and archival silver gelatin prints. 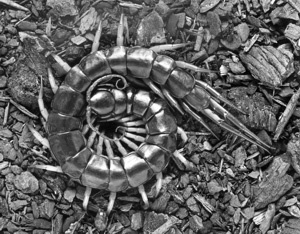 My images often focus on arthropods (insects, arachnids, crustaceans, millipedes, centipedes) and herps (reptiles and amphibians). What I like to call the “Charismatic Microfauna”. His award winning photography has been called "beautiful in its precision." by the Austin American-Statesman. It has appeared in an eclectic mix of publications including; Spin, Ranger Rick, Cell & Tissue Research, BBC Wildlife, Outdoor Photographer and the Journal of Biological Photography. 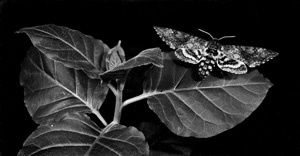 A gifted fine art photographer, his work has hung in numerous galleries as well as natural history museums and botanical gardens. Brooks Jensen, editor of Lens Work, had this to say about his work:"Chip is to bugs what Weston was to peppers!" "I enjoy photographing animals in the studio because of the control it affords me. Control not just of my subjects, but perhaps more importantly, control of the light. Photography is “painting with light” after all, and I feel that working in the studio allows me to paint with a fine brush. This helps me to bring out the sculptural and luminous qualities of my subjects. All subjects are photographed alive and when possible, released back into the environment from which they came unharmed."